<<3rd December, 2018 – Hong Kong>> Renowned British chef Simon Rogan, is set to open Aulis Hong Kong, his first overseas chef’s table and development kitchen concept in the heart of Hong Kong in early January 2019. This will be followed by the opening of Roganic Hong Kong in late February 2019. With five restaurants already to his name, including 2-Michelin-starred L’Enclume and 1-Michelin starred Rogan & Co in the Lake District, and 1-Michelin starred Roganic in London, his first international dining destination Aulis Hong Kong will offer an up-close and personal experience with the season’s freshest produce in a multifunctional high-tech space. Roganic will mirror Simon Rogan’s London restaurant, with cuisine influenced by The Lake District. As an experimental hub, Aulis Hong Kong invites guests to surrender their senses to the creativity of the chefs. Expect the unexpected; an evening of high-speed dynamism and intimate interactions, as chefs utilize the world’s most advanced kitchen equipment to create highly creative dishes personalized to the tastes of only 12 guests at a time. 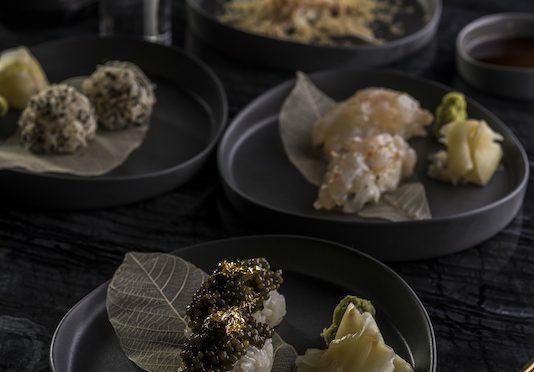 The ever-changing 8-10 course experimental menu offers diners the opportunity to immerse themselves in Rogan’s unique culinary vision first-hand, and will be priced at HK$1,480+10% per guest, with an additional HK$680 for a choice of wine or cocktail pairing experience. The 12-seater Aulis Hong Kong comes to Asia after the successful launch of Aulis Cartmel within L’Enclume in 2016. This followed with the opening of Aulis London in 2018 as a standalone development kitchen for Rogan’s London-based team of chefs at Roganic. A modern and buzzing food destination, Hong Kong is the ultimate site for this city-centric take on a farm-to-table restaurant concept. With a focus on fantastic natural wines and fresh, foraged ingredients, Roganic Hong Kong is the continued success story of its two-year pop-up turned permanent site in London’s Marylebone, as the first international outpost in Asia. 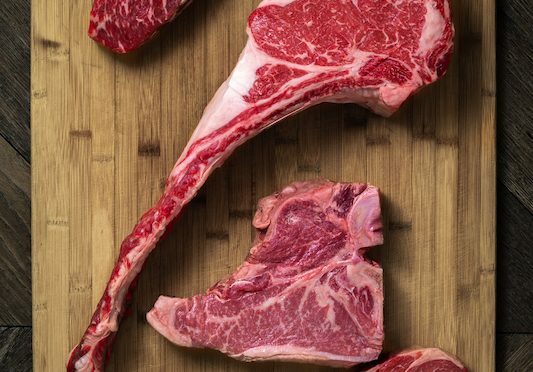 Roganic Hong Kong is set to open in late February 2019 as a complementing venue to Aulis Hong Kong. Over the past 25 years, Simon has developed a distinctive and inventive cooking style that has led to awards, Michelin stars and worldwide acclaim. Building a culinary destination in Cartmel, in the Lake District of England, Simon opened restaurant L’Enclume in 2002, followed by Rogan & Company in 2008. Continuing his commitment to the area, Simon has also had his own farm (Our Farm) in the Cartmel Valley in 2009. L’Enclume currently holds two Michelin stars, and was named Good Food Guide’s #1 Restaurant 2017 for the fourth consecutive year with a score of 10/10. Simon Rogan was also named the AA Chef of the Year 2017, and currently holds five AA Rosettes at L’Enclume, three AA Rosettes at Rogan & Company and three AA Rosettes at Roganic. In 2016, Simon launched his first chef’s table and development kitchen experience, Aulis, in two-Michelin-starred L’Enclume. 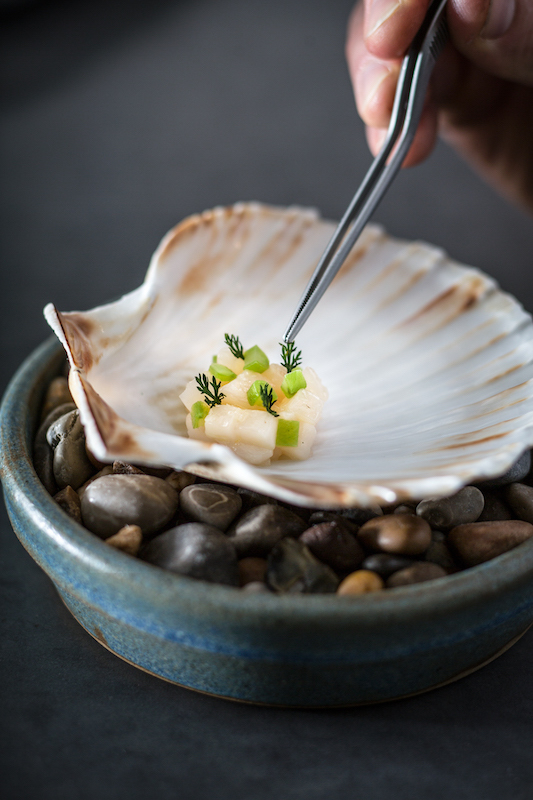 Aulis Cartmel offers six guests the opportunity to book individual spaces or the table in its entirety to get ‘up close and personal’ with the chefs as they prepare and serve a multi-course dinner menu. 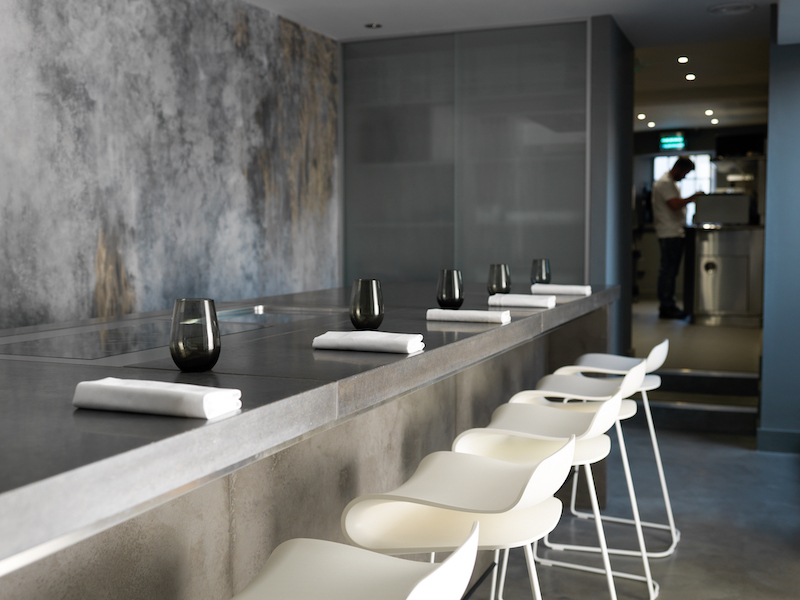 In September 2018, Aulis arrived in Soho, London as a stand-alone dining destination with only eight seats, acting as the experimental hub for Simon and his London team of chefs. More recently, Simon has welcomed Roganic back to London, previously a pop-up restaurant concept from 2011-2013 that returned permanently to Marylebone in January 2018. Characterised by a forward-thinking and imaginative menu, the innovative dishes draw upon Simon͛s trademark visionary cooking style. Roganic includes elements of L͛Enclume, thanks to the use of the freshest produce sourced from the best suppliers around the country, including Simon’s ‘Our Farm’. 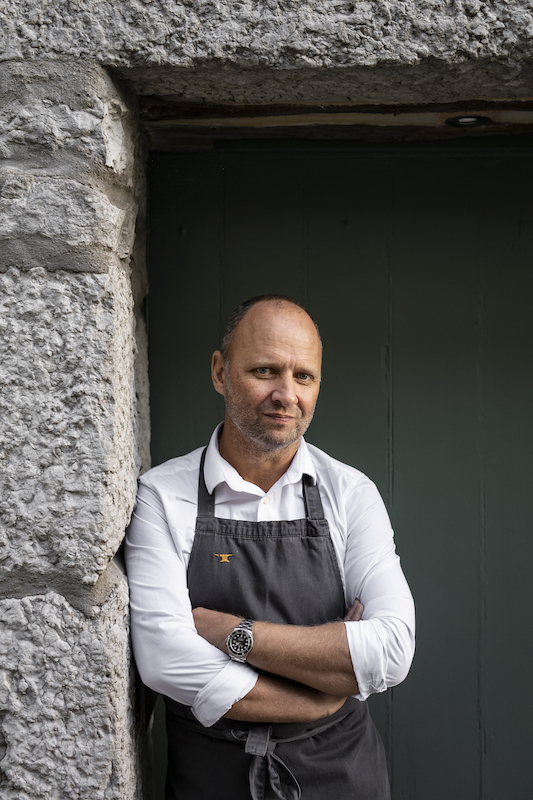 Neighbourhood restaurant Rogan & Company in Cartmel was also awarded its first Michelin star in the MICHELIN Guide Great Britain & Ireland Edition 2019. Simon’s debut cook book Rogan, containing stories and accessible recipes depicting the connection between nature and food and the importance of locally sourced produce, was published in September 2018 by Harper Collins. Stay tuned for more information on Aulis Hong Kong’s opening in January 2019 and Roganic Hong Kong in February 2019 in Causeway Bay, both intimate, unique and innovative dining experiences like no other. Aulis provides a truly unique ‘behind the scenes’ experience of the fine dining institutions, L’Enclume and Roganic. Aulis is a multi-functional hi-tech space and experimental hub that acts as a development kitchen utilised by chefs to explore new dishes and cooking techniques, but also an exclusive, intimate and interactive private dining room for guests. In Aulis, guests can have the first try of dishes before they arrive onto the menus in a unique preview to the chef’s innovative work. The Aulis experience is completely personalised, depending on the group size and involves a complete surrender to the creativity of the chefs. 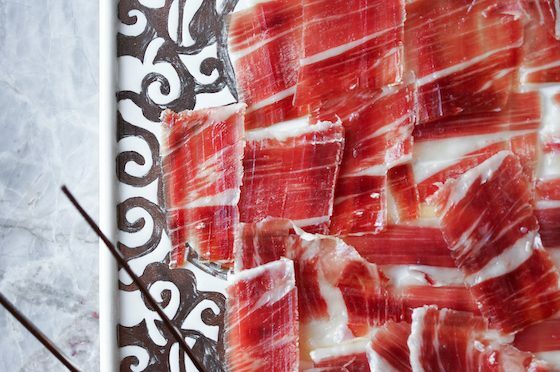 It aims to expand the culinary horizons of guests, with sometimes challenging or out of the box dishes for certain palates, but it remains a truly uncompromising foodie experience. 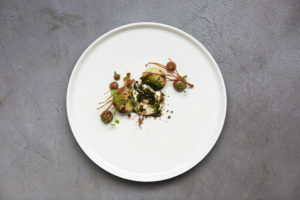 The space is named Aulis as a tribute to Aulis Lehtimaki, a Finnish chef and artist who was a key collaborator in the early days of Simon’s Michelin star restaurant L’Enclume, and the concept also exists in that restaurant. Aulis Hong Kong is Simon’s first overseas stand-alone dining destination in Asia with just 12 seats, acting as the experimental hub for his Hong Kong team of chefs and offering diners the opportunity to immerse themselves in Rogan’s culinary vision first hand and be challenged to taste experimental and innovative dishes. Roganic first opened in 2011 in Marylebone as a two-year pop-up, a sister restaurant to L’Enclume. Five years later, Roganic returned to London, bringing elements of L’Enclume, Simon Rogan’s two Michelin star restaurant in the Lake District. The team is comprised of the original Roganic line up, amongst other past and present employees of UMBEL Restaurant Group. Roganic runs alongside Aulis London, a development kitchen and eight-seat chef’s table which opened in Soho on 14th October 2017. 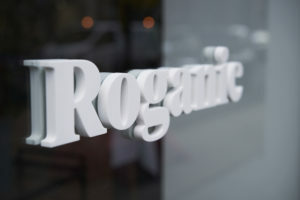 Now, Roganic Hong Kong will continue on its success in London to open alongside Aulis Hong Kong this late February.